DF5 0007 is one of the prototype batch developed jointly by Tangshan and Dalian in the 1970s. Further work was required before a modified version went into production at Sifang in the late 1980s. 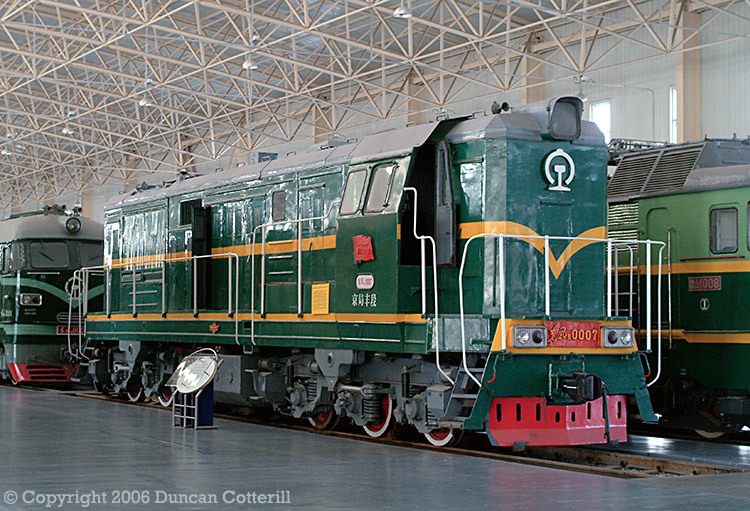 The loco was photographed at Beijing Railway Museum on 9 January 2005.